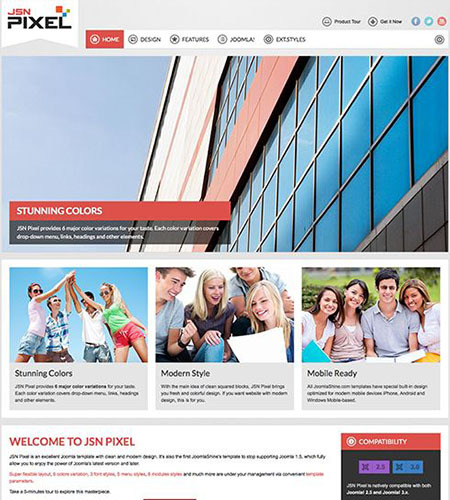 JSN Pixel is a responsive template which means visitors can surf the website perfectly on any mobile device. One of this template’s main features is the special component and module styling for the popular extension - Easyblog. SEO feature helps search engine crawl your site easily. CSS/JS compression helps your website run fast. 14 languages supported from front-end and back-end. Sample data installation helps you create a website look like demo quickly.